Property owners contact Nature’s Touch Tree Care & Landscaping when they need a top tree service in Minnetonka. Nature’s Touch has been providing superior tree company to Minnetonka homeowners for over a decade. We are a family-owned and operated business. We have trained and qualified arborist professionals that will help you customize your property and enhance the beauty of your trees, vines, shrubs, and other woody plants. We offer a wide range of tree services to meet your needs in Minnetonka, Minnesota. Our tree company specializes in personal and customized work. We can assist you in designing your landscape ecosystem. We can remove any dead foliage, plants, shrubs and treat parasitism so your ecological communities are healthy. Nature’s Touch is a full-service tree care provider that can maintain and enhance your property. Minnetonka, Minnesota is eight miles from Minneapolis and is located in Hennepin County. The city got its name from the Dakota Indian mini tanka. The name means, “Great Water.” The population of our town is 49,734. The city was founded in the early 1850’s, then incorporated in 1956. Minnetonka has so many things to see and do. The main attraction is our beautiful Lake Minnetonka. If you love to shop, then you can shop at the Ridgedale Center, the Holland Center, Minneapolis Mart, and Horizontal Integration, which are just a few of the shopping that you can do in the city. The Winter Solstice Celebration is a great annual event. The Winter Solstice Celebration is held the week of Christmas and features Scandinavian inspired S’mores, a guided tour of the Turnblad mansion, holiday exhibits, glogg (Swedish mulled wine), holiday lights, fairy tales, crafts, kicksled rides, a Nordic Christmas, and so much more. The tickets are only ten dollars for adults and five dollars for children. This is a wonderful event held at the American Swedish Institute. Downtown on Main Street is a perfect location to step back into time and enjoy the history of the city. Visitors can enjoy eating unique, homemade meals at one of the diners, shopping at local merchants, galleries, and more. Downtown has been totally restored and is a must to all visitors. Contact Nature’s Touch today and let one of our specialists assist you with your needs. Our crew at Nature’s Touch Tree Care and Landscaping is proud to be one of the premier tree companies serving Minnetonka. For nearly a decade, our team has provided a variety of services to the residents of Minnetonka, such as tree removal, tree trimming, landscaping, and landscaping maintenance. Our team was recently contacted by a local resident. They were interested in tree removal in Minnetonka. The resident explained to us that they believed a tree in their yard was leaning, and would soon fall. They were concerned because the tree’s lean was gradually getting closer to the house. We told the resident that we would be happy to remove the tree for them, and scheduled to visit their residence the following day. At Nature’s Touch Tree Care and Landscaping, we believe it is vitally important to complete jobs quickly and expertly. Upon arriving at the residence, we were quickly able to determine that the tree did, in fact, need to be removed. Our crews utilize state of the art equipment in order to remove trees that are rotting, leaning, dying, and more. We are able to complete tree removals in tight or difficult locations, and always recommend utilizing a professional to complete a hazardous job like this. 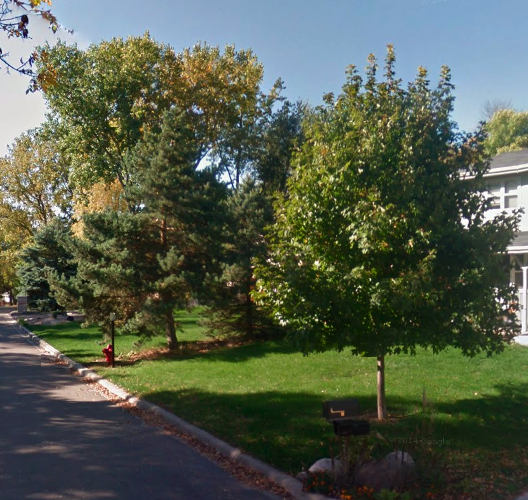 We were able to complete the Minnetonka tree removal in a single day, and help put the customer’s mind at ease. They were very thankful for the hard work and expertise that our team exhibited throughout the entire process. They thanked us and let us know that they would be in contact if they had any further tree care, tree removal, or landscaping needs. Recently, we got a call from a new homeowner who had just moved into a fixer-upper. They had a lot of carpentry know-how and had renovated most of the house, but now the homeowners wanted to install some hardscaping outside. They called us to remove an old tree from their backyard so that they could use it for patio space. 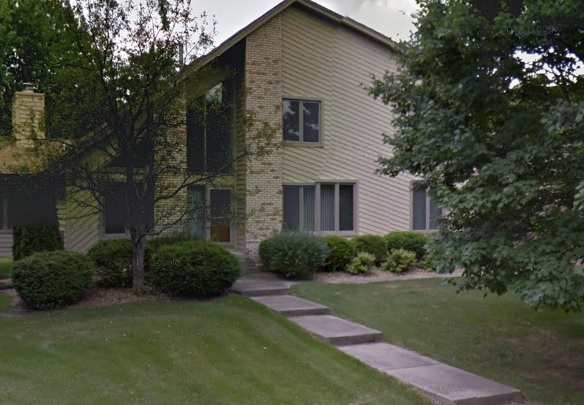 We set up a time that we could come to the home, so we could inspect the tree and provide the homeowners with an accurate estimate for the tree removal in Minnetonka. Our tree specialists arrived the following morning. The crew started the tree service by inspecting it thoroughly, and as we checked the tree, it turned out that it was in bad shape. The tree actually had some diseases growing in it that could have affected the health of some of the nicer looking trees in the yard, so we were more than happy to get rid of it for the homeowners. We gave the estimate to homeowners and they happily accepted it. The crew started removing the branches from the top of the tree, then working their way downwards. Once all of the limbs were successfully removed, the crew started removing the trunk. The crew cut the tree in pieces, then started placing all the limbs, leaves, and debris into the dump truck, so we could haul them away for the homeowners. The crew then used our tree grinder to remove the roots of the tree, because any remnants of the tree with the diseases could still affect the other plants and trees on the property. By the end of the day, our crew had successfully removed the tree for the customer. The wife came out as we were almost finished and thanked the entire crew for doing such a great job. Our crew let her know that she could prevent her other trees from becoming diseased with our landscaping maintenance services. We would provide tree trimming and pruning along with plant care. The crew also let the customer know that if at any time they had a tree emergency to just give us a call because we also provide 24-hour emergency storm damage services. The customer thanked us for informing her of all of our tree services in Minnetonka that are available. We welcomed the couple to the neighborhood and the customer thanked us for all our professional craftsmanship and knowledge. She said she would be sure to let her coworkers know about our company. We were really excited about another job well done.